The first day’s walk from St. Jean to Roncesvalles (25km) is often referred to as the hardest day by many people , possibly because of the initial discomfort of carrying their pack and the fairly long day on a body yet unprepared. Leaving St. Jean the sealed road switchbacks and climbs fairly steeply out of the valley. Once past the Albergue at Orisson the gradient starts to level out somewhat and you follow a grassy trail that climbs and winds through the hills. A welcome stop is the refreshment van that is parked here most of the year round and run by a friendly chap who tallies the nationalities of passing walkers that day. 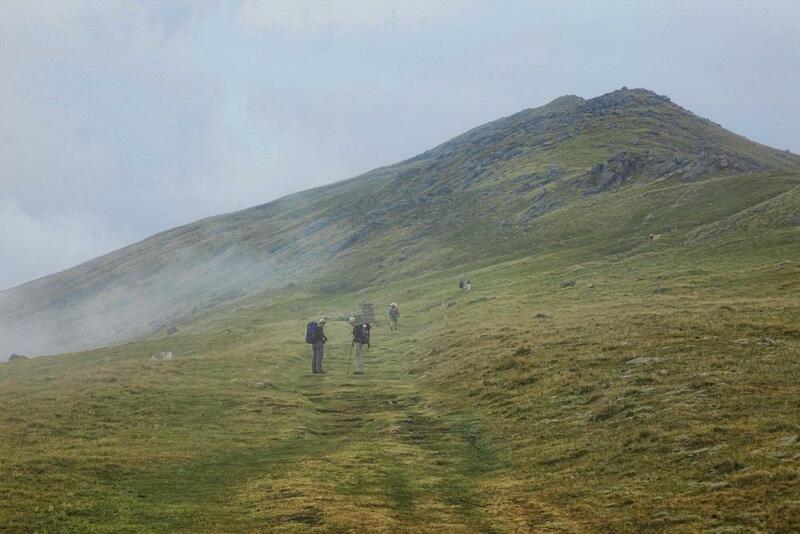 The walk through the Pyrenees can be unpredictable because of the weather but people used to walking in hills or trekking will not find it an especially difficult day as the gradients are not severe at all. The descent down to Roncesvalles can be quite steep for some, so walking poles are not a bad idea to lend extra support.